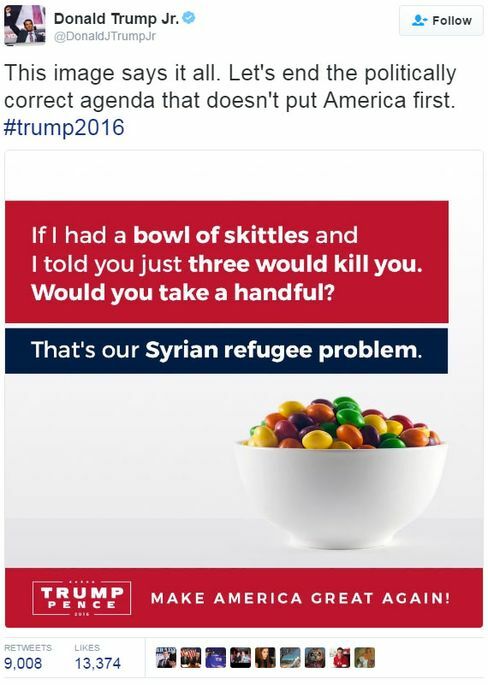 Did Trump Jr. Take Skittles from a Refugee? In a turn of cosmic comeuppance – Donald Trump Jr. is facing an infringement suit for using a photo of a bowl of Skittles to represent the poisonous and life-threatening nature of refugees. It turns out that the former refugee who took the photo noticed and took exception to it being used use millions of times across the Internet. David Kittos, the photographer, was himself was a refugee who escaped from Turkish occupation in Cyprus fleeing to the UK. He filed a DMCA “take down” to Twitter, which ended Trump’s use of the image, but obviously not its re-use by thousands of others discussing it, creating substantial indirect infringement. The claim is against the Trump campaign, its two principals: Messrs. Trump and Pence, and Trump Jr. who arguably acted on their behalf. There are several interesting edges to consider. First, Presidential campaigns are temporary businesses which become empty shell corporations after their assets are either expended or donated to others. So, claiming that people should be held liable makes sense, as any ruling will come well after November 8th and the functional life of the campaign. Holding Donald Sr. and Pence liable for the operation of their own campaign shouldn’t be a stretch. Though neither participated directly in an act of infringement, it seems likely that staff assisted Trump Jr. in preparing the image, and that he may have coordinated his Tweet with the campaign. While the candidates didn’t have a right to control Trump Jr.’s Twitter account– any act of coordination from Trump Jr, or compensation to him would solidify his status as acting as an agent on behalf of the campaign. Second, what about merit? Is a photo of a bowl of Skittles sufficiently creative to gain protection? This isn’t a high bar. Kittos says he optimized the lighting, angle, and placement of the candies so “their bright and boastful colors are the center piece of the image”. As the Kittos earns at least part of his living from photography, his claim of protection for his work seems routine too. While he had not demonstrated a commercial intent by marketing the photo, it was posted with a statement reserving all rights in the image, so there is some argument that he acted affirmatively to maintain the photo as a commercial asset. Finally, what about some kind of Fair Use defense? 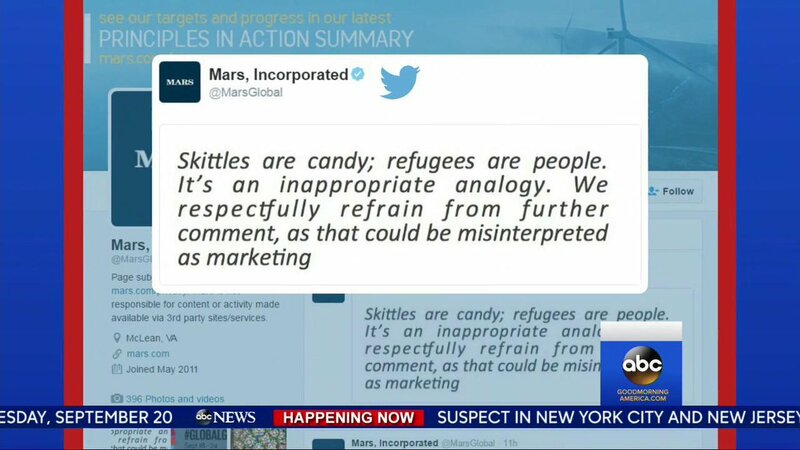 If Trump Jr. we’re warning the public about Skittles, the rights of the Mars Candy company might be reduced by the journalistic or public safety interest in such communications. But Trump Jr. wasn’t commenting on Skittles, so any base of a Fair Use claim seems weak. This Halloween, candy has been a sour point for the Trump campaign. Tic Tacs went out of their way to distance themselves from Trump, who mentioned using them as foreplay en route to grouping. Of course, preventing offensive breath seems like a diversion to this man who has made made offensiveness a proof-point of his public persona. So, with that in mind, Tic Tac USA might want to give its orange Tic Tacs some time off. They could return with a new spokesperson and a fresh lease on life. Rosie O’Donnell or Megan Kelly might be good choices. 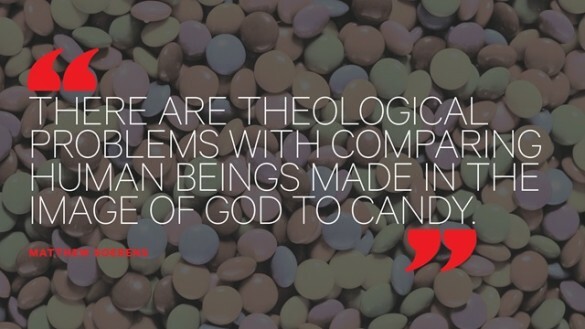 Who better to help rehabilitate tiny bright boastful candies?